Watch the first full Spectre trailer | What Hi-Fi? The first full Spectre trailer has landed ahead of the film's world premiere and UK release on 23rd October. If you've been waiting for another Bond fix, then you're in luck. 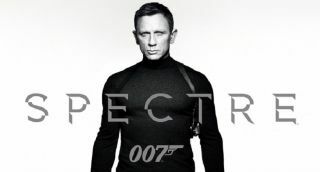 The first full-length trailer for Spectre went live today at 8am (BST) Wednesday, following the release of the teaser trailer back in March. And you can watch the new trailer below. Spectre is the second Bond film directed by Sam Mendes, following Skyfall, and the fourth to star Daniel Craig as James Bond. Christoph Waltz, Léa Seydoux, Monica Bellucci and Ralph Fiennes are all set to star in what is the twenty-fourth Bond film from Eon Productions. MGM and Twentieth Century Fox recently announced details of a special edition James Bond box set, which features all 23 existing films and leaves a space for the Spectre disc. Spectre will have its world premiere in London on 26th October, the same day the film goes live in cinemas in the UK and Ireland. The film gets a worldwide release on 6th November.